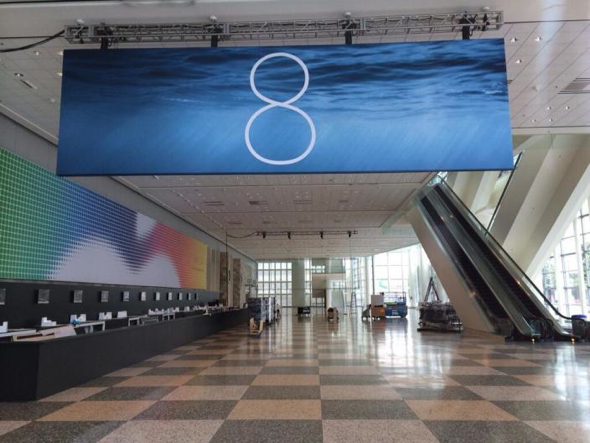 Apple is hanging banners at WWDC in San Franciso’s Moscone Center. MacDailyNews Note: UPDATE: 8:15pm EDT: The image below is a fake. Too “Steve” to be true, sadly. Dry eyes all around. Seriously? I thought you’d followed Apple longer than that. That’s pretty good! How insulting..
Used to be Redmond. Too bad patents don’t prove to protect. Wow, this WWDC better deliver like I hope it will, otherwise the stock will tank. There must be something in the pipeline for Apple to hang up that banner. Also analysts all upgrade AAPL to $700+, they must know something but we don’t know of. the stock will tank regardless. it’s called pump and dump and it’s classic. happens every time. If that were both true and reliable, you realize you could make a lot of money on it, right? A certain legal firm will now claim that Apple has invited Sammy to copy their ip, rendering all patents invalid. Is that a photoshopped image? It looks the same as the iOS banner with 8 picture I’ve seen other sites have posted. Everything in the background is in the same place. You can almost see an ‘8″ watermarked on that image. Is that just my mind playing with me? Yes I see it too. I feel like I can see it too. Your mind’s playing tricks on me too. I can see it. Yes, you’re right, that banner is not real. It’s been ‘shopped. Here’s the same “correct” banner with the “8”. Samsung is 40% of South Korea’s GDP or something. But even if it’s 40%, 40% of South Koreans do not work for Samsung. We are talking about (unintentionally) insulting people, not money. And doing so (for a joke) makes Apple look a bit unsophisticated and unworldly (which Apple is definitely NOT). 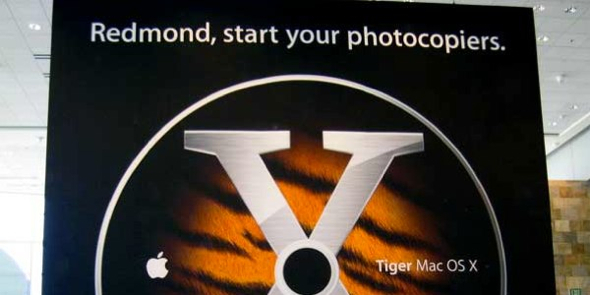 I take offense that you said Redmond was basically Microsoft. Have you ever been there? It’s not and have you ever heard of Boeing? @Boeing. Glad you posted this info. I love the area and could care less about Microsoft. You “could care less”? How much less? You could care…. a little bit less? A lot less? I like to quibble with nuances of grammar, but this isn’t even anywhere close to a nuance. It means the exact opposite of the intended meaning! Come on, ‘merikuns, don’t LOOSE your respect for your native language. It’s not exactly meant to be taken literally now is it? 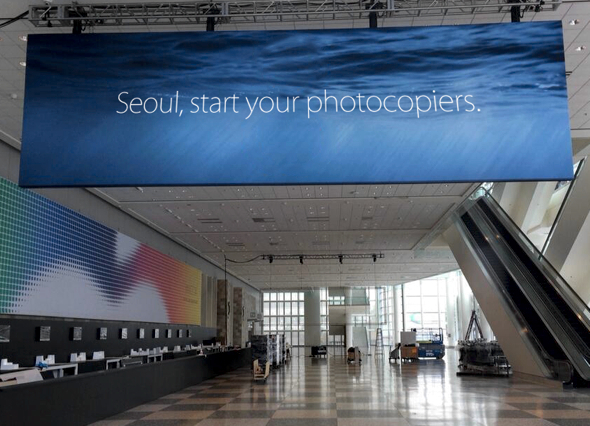 I doubt that Apple think that Samsung or Microsoft actually used photocopiers to copy anything they’ve done.